Its name is Methuselah. It is 4,767 years old. It lives in solitude, high in the mountains near the Sierra Nevadas. Bristlecone Pines are the world's oldest living inhabitants. 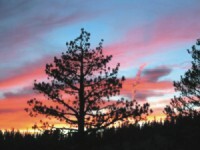 These trees are found in abundance at altitudes of about 10,000 feet in the majestic White Mountains of California. The oldest one is named Methuselah. Methuselah lives, and to the occasional visitor to the White Mountains, it is unknown. In order to avoid vandalism, the Park Service has not marked Methuselah--it could be any one of the trees in the region. 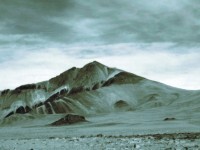 The White Mountains have another draw--they have California's second highest peak at 14,262 feet -- White Mountain Peak. The journey to the White Mountains is not a short one. For me, it involved getting in a car and driving 260 miles. 260 miles is about the distance from Rangpur to Chittagong, but that too, as the crow flies. After fueling up in the San Francisco Bay Area, I drove about 3 hours to the gateway of Yosemite. Yosemite, is a paradise that is unparalleled on this Earth. Driving through Yosemite is like a showcase to the magnificence that this planet exhibits. Mammoth glacier eons ago carved the planet to its present form and no other place on it shows the wonders like Yosemite. Granite domes and walls abound here and trees and waterfalls line them, like velvet. 260 miles would pass quickly, and I would already be longing for the drive back, so that I could see it all over again! But my goal was to spend a day in the midst of the ancient bristlecones and to celebrate it by reaching the apex of their home--White Mountain Peak. Yosemite, is undoubtedly one of the wonders of the world, but the word has been out for many years -- and tourists abound in Yosemite almost any time of the year. I have spent many a sleepless night in Yosemite in my tent parked two feet from another because of lack of space and overpopulation. Even the breathing in the other tent is audible. Would the White Mountains prove otherwise? Yes indeed. It is a place of solitude and peace and perhaps that is why the Bristlecones have decided to make this their abode. They are in good company. Big-horned sheep, some of the shyest creatures on earth also live near the White Mountains. They are an almost extinct breed, but the White Mountains offer them the peace, quiet and privacy they desire. Winter would approach in a few months and this was my window of opportunity to reach White Mountain Peak to see the Bristlecones. The high mountain pass through Yosemite National Park, would be engulfed in snow and the avalanche danger would make it impossible to cross. It would be closed until late Spring when it would open again with the advent of the sun and warmer temperatures. I met but a half a dozen people on my way up the mountain. Unfortunately the Big-horned sheeps were feeling particularly shy that day. But the bunny rabbits were playful as always, jumping up into the air and scuttling off with their cute round tails wagging vigourously. But the bristlecone pines were neither shy nor playful. They were magnificent. If no one had told me that these trees were thousands of years old, I still would have stood in awe -- they emanate a wisdom and maturity that we humans will never have. They have stood the test of time -- some serious time.